Disclosure: I received a copy of One Pot Paleo for me to review. I loved the recipes in this book so much, that I am sharing one of them with you today! I was never a fan of fried rice growing up. It was too salty and I didn’t like eggs. But this cauliflower fried rice totally hits the spot. You control the salt content, and my new found love of pastured eggs means that I find all components of this healthy, paleo, one-pot dish amazing. This recipe comes from the gorgeous work of art, One Pot Paleo by Jenny Castaneda of Paleo Foodie Kitchen. This book is full of beautifully photographed recipes with a binding that lays flat – it just begs to be cooked from! And the recipes are simple. Living up to the name of the book, they all require just one pot to cook and are entirely paleo friendly – gluten-free, grain-free, dairy-free, and free of processed food. Coming from a traditional Filipino household, many of the recipes contain this influence. Oh how I have missed Asian flavors since embarking on my real food (and poor newlywed) journey! In One Pot Paleo, Jenny makes it easy to create these flavors at home. 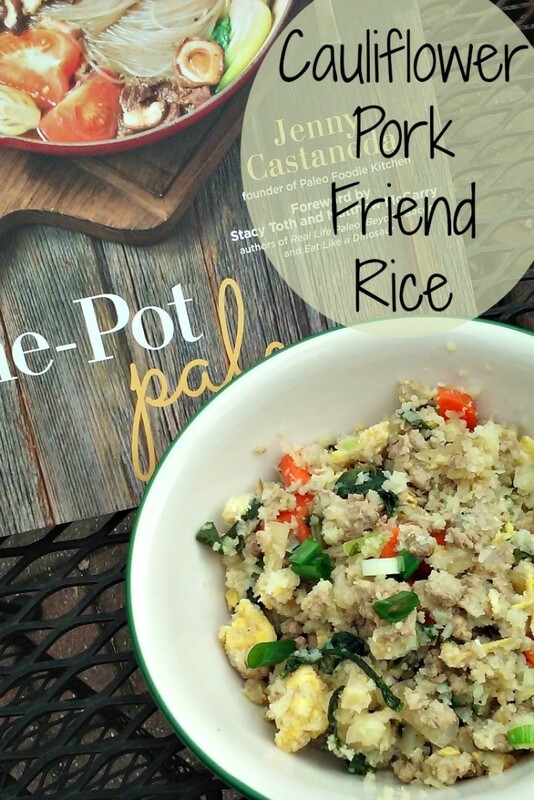 The first recipe I made from One Pot Paleo was the Cauliflower Pork Fried Rice. Jenny has included an incredibly helpful allergen index in the back of this cookbook, indicating which recipes are dairy, nut, grain, and/or egg free. What it does not include, is which recipes are nightshade free and GAPS friendly, so I had to page through the book to find which would suit my needs. Most of the recipes has nightshades, often in the form of paprika. They likely could be easily adapted to be nightshade-free, and I look forward to trying them later this summer. What I am particularly excited about, though, is that many of her recipes are GAPS friendly. Many paleo cookbooks are filled with starches that the recipes require, but not this one! About 40 of the recipes (not counting the basics) are GAPS-friendly, as is. Almost all of the rest can be easily adapted. This Cauliflower Fried Rice is both nightshade-free and Full GAPS – score! It is so easy to make your own, too. My husband and I started with the recipe as is, and also made a version with radish greens and ginger. Both are absolutely delicious! It can also be made with any type of ground meat. The pork adds an amazing flavor, but since I need to avoid pork most of the time, I will be using ground beef when I make this dish in the future. Oh, and you should definitely try heating up your leftovers in a skillet with coconut oil (this is the kind I used). Divine! 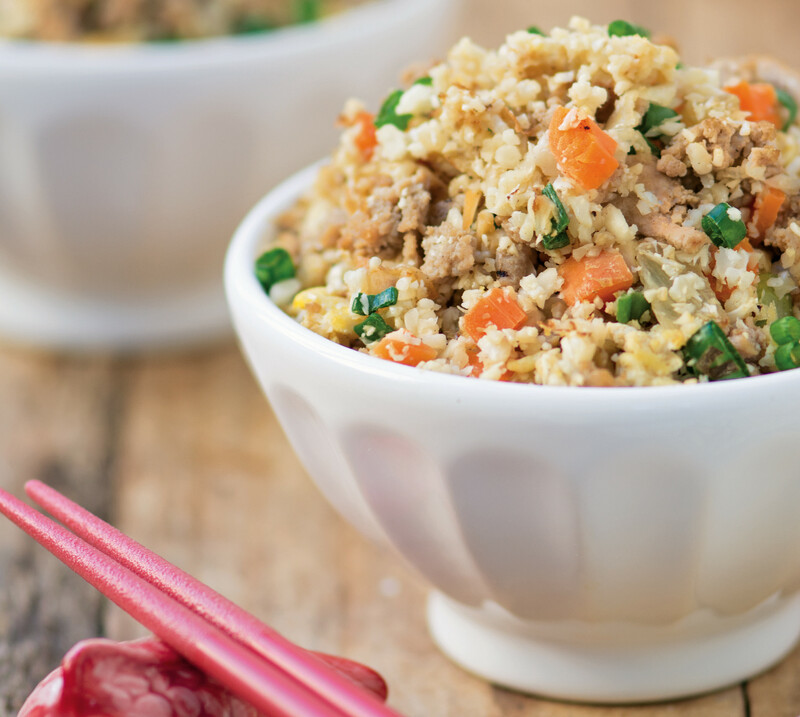 Enjoy this Cauliflower Pork Fried Rice from One Pot Paleo, and make sure to check out Jenny’s new book. Jenny Says: I regularly eat cauliflower rice because it’s filled with essential vitamins, but it has to be cooked and seasoned just right or else it looks and tastes blah. Use the same ratio of cauliflower to ground pork, and say bye-bye to bland rice. I make a big pan of this so we have enough for days—if it lasts that long! Once the pork and vegetables are ready, riced cauliflower cooks fairly quickly. Keep a close eye on it so it doesn’t end up getting mushy. Melt fat in a wok over medium-high heat. Add the garlic and onions. Sauté for 3 minutes. Add the ground pork and cook for 7 to 8 minutes while breaking apart big pieces with the back of a wooden spoon. Stir in the carrots and season with the coconut aminos, fish sauce and black pepper. Remove from the wok and set aside in a bowl. Crack the eggs into the wok and scramble for 1 minute. Return the pork mixture to the pan and stir together with the eggs. Add the cauliflower rice and green onions. Mix until everything is thoroughly combined. Cook for 5 minutes until cauliflower is soft but not mushy.